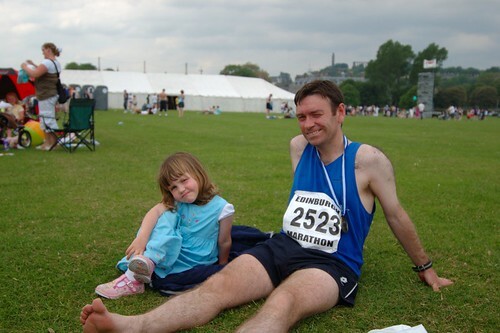 Edinburgh Marathon 2006 Finished – 3h 37mins., originally uploaded by Wee Welchie. This weekend I’m running in the Great North Run. The world’s most popular marathon with approximately 50,000 runners. Here’s a picture of me completing the Edinburgh marathon last year (3 hours 37 mins). ~ by Welchie on 28 September, 2007. 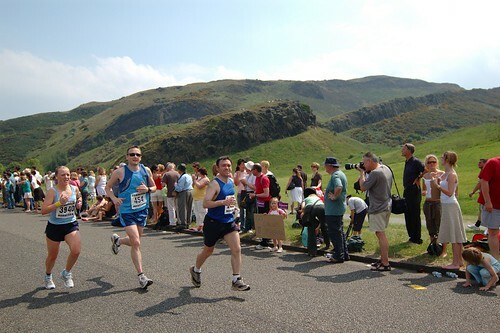 I flew over from Seattle to run the Edinburgh Marathon in 06… As I recall it was unseasonably hot. Even though I had a slow time that day, it was a lot of fun.